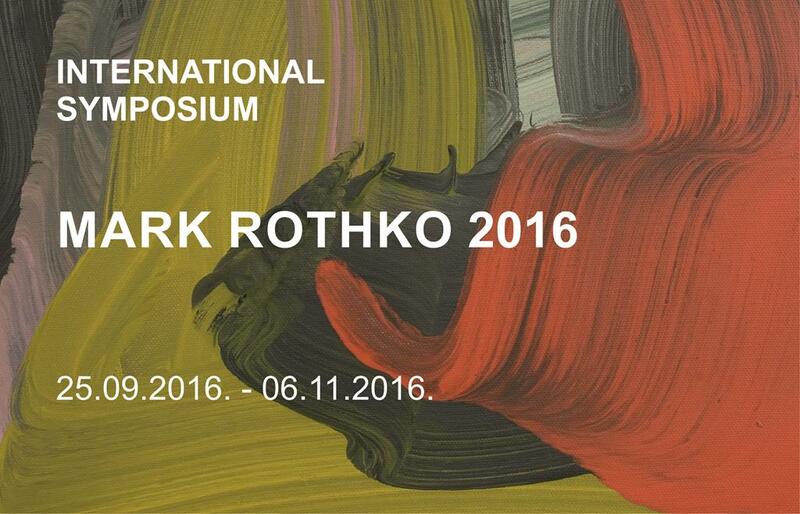 For the 12th time the International Symposium ” Mark Rothko 2016 ” took place in Daugavpils, however this was the first time when it was comprised of nine only-female artists from nine countries. It was the first time in the relatively long history of symposia when out of 122 applicants the international jury selected a team of ladies. Of course, a closer look at their works speaks for itself: the key factor for choosing them lies in their mastery. During the Rothko symposium, Deann Sirlin from the United States continues her individual style of painting and American way of narrative. An attitude of a French artist Martine Lafon towards Rothko and the red colour is expressed in a concise and clear way. Although colour is essential for a Swiss artist Susanna Lyner, this time influenced by the atmosphere of Daugavpils, she is reserved in regard to colour and minimalistic in regard to form. A minimalistically and compositionally structured approach to her artistic language is continued by a Dutch artist José Heerkens. Turkish artist Nimet Keser pleasantly allures with her refined landscapes. The new Italian artist Beatrice Gelmetti is promising in her ideas and their fulfilment, while German artist Erdmute Blach is confident in herself and free in her flow of paints. Calligraphic accuracy perfected in smooth lines is a signature of a British artist Erin Lawlor. While works by Dace Abricka – an artist from Daugavpils – give composure and Latvian worldview to the teamwork of the artist-ladies. With their works, all participants of the symposium pay respect and admiration to our outstanding compatriot Mark Rothko, both by giving their works to Daugavpils and devoting them to the 113th birthday of the genius. Although the artists, during their two weeks of work, had mentioned that it would be great to have a man in their team, the symposium was successful and resulted in another great international show of paintings.